Based on Power Paola's (or rather Paola Gaviria) autobiographical graphic novel, Santiago Caicedo begins his story from the very beginning, i.e., from conception. Which, as it turns out, should not have happened at all. You can't be pregnant. It must be a tropical virus, says a skeptical doctor. Nevertheless, nine months later, the unusual family of a former priest and fortune-teller gets an addition in the form of a baby girl. 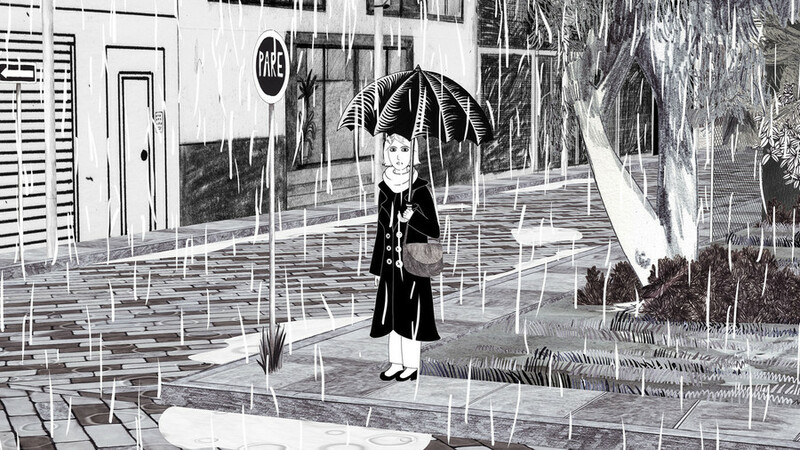 By bringing to life her simple black-and-white drawings inspired by the work of Marjane Satrapi, Caicedo examines the writer's childhood and youth spent traveling between Ecuador and Colombia, her quarrels with her sisters about Ken, and even her attempt to attract the attention of John Paul II himself. The women surrounding Paola are struggling with divorce and addiction and continue to make bad decisions in life. Despitethis, Virus Tropical, which is like diary being read out loud, has enough warmth to soothe even the most painful wounds. Born in 1976, Santiago Caicedo is a Colombian artist and filmmaker who works with animation, stereoscopy and video art. His short films have been shown at Annecy and Clermont-Ferrand, among other places. His 2017 film Virus Tropical, basedon Power Paola's graphic novel of the same title, is his first full-length feature film. Its European premiere took place at the Berlin Festival in the Generation 14-Plus section, and it won an Audience Award at SXSW in Texas.